Are you a Mac power user? Do you want some free Trend Micro gift items? Do you want some Sodexo Gift Checks? My teammates at TrendLabs will be having a Mac Power User event on Saturday, August 17, 2013 1pm-4pm. They are looking for tech-savvy Mac owners who would like to participate in some intensive and exciting testing with our Mac OS security solution, DirectPass 2.0, a password management solution. 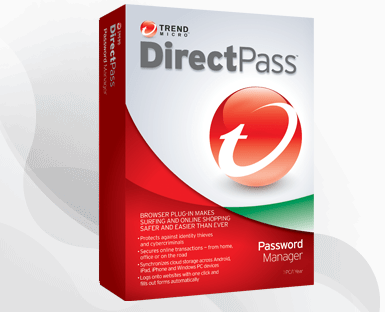 Trend Micro™ DirectPass™ is Trend Micro Password Manager solution. It manages website passwords and login IDs in one secure location, so users only need to remember one password. Other DirectPass features include: keystroke encryption, secure password generation, and a secure browser. All qualified participants who will attend the Power User event will get a Trend Micro gift item and Sodexo GC. If you are really lucky + uber-geeky and can find some critical bug, you might also win bigger prizes. Feel free to forward this blog post to your friends (online and in-real-life), family members, relatives or classmates to share this wonderful opportunity with them. If you have Facebook/Twitter/Google+/Linkedin/etc, feel free to share/tweet/+1 this blog post too so that others can know about it. I work at Trend Micro. This blog post is _NOT_ a paid post by Trend Micro. The information contained in this post is taken from Trend Micro Beta Team members. To know more on what I do officially full-time kindly visit my about page or visit my linkedin page. To read my blog’s disclosure policy, kindly visit my disclosure page.